As I wrap up my last post about the Texas Book Festival, it’s important to note that today’s author, while last, is definitely not least. As a matter of fact, he was the biggest surprise to me. 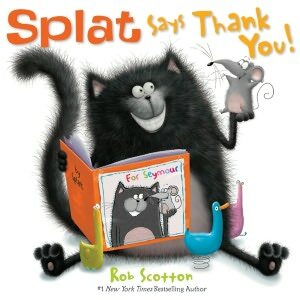 Since I’m currently working on 2 manuscripts for children’s picture books (ages 4-8), I was “bouncing-in-my-seat happy” to hear from Rob Scotton, Tad Hills, and Philip Yates. What I thought I really needed was to hear from the other authors who had done what I hope to do. Surely this guy had nothing to offer me. But I soon discovered how wrong I was. He shared about his 75 pound golden doodle and the dog’s poor catching skills. Look at Arlo with a bandana…so cute! My two silly dogs have also inspired the seeds of ideas for my manuscripts. 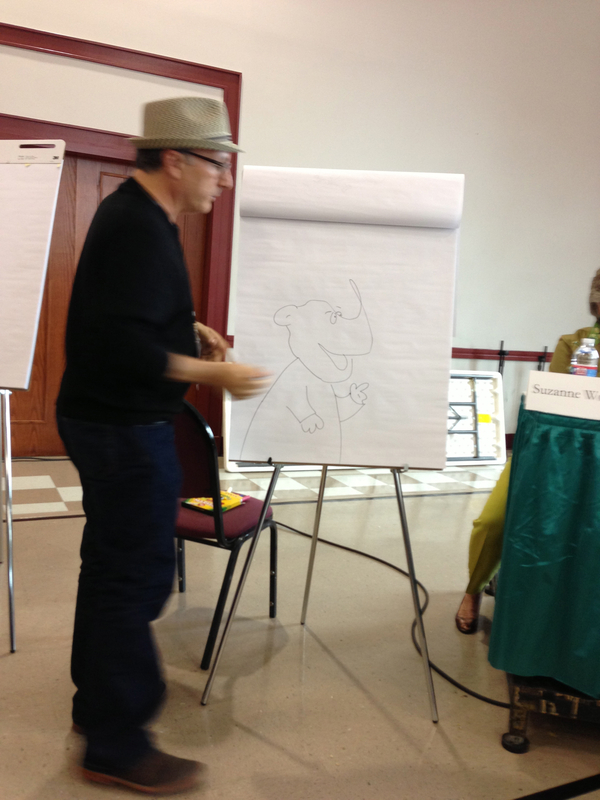 Then, near the end of the session, each author/illustrator was encouraged to stand by an easel pad and show their method of illustrating. When it was Barney’s turn, he removed the marker cap and began talking. And like me, he spoke while gesturing with his hands. All of a sudden, OOPS, he’d made a stray mark on the paper behind him that he was supposed to use. This “mistake” was the springboard for him to share his vision for art and his work. Let me give you some context. If you’ve ever seen a child with a blank piece of paper, you know what happens when he or she makes a mistake, tears it on accident, or erases too hard and rips the paper. “I messed up. I need a new piece.” And if you don’t immediately comply, the child will either get mad or end up close to tears. It seems this “broken” piece of paper just will not do. Barney Saltzberg sees this as a problem and he has helped become part of the solution. 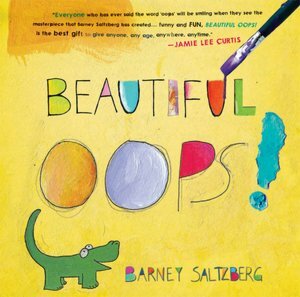 In Beautiful Oops, his interactive multi-texture and sensory board book, he shows kids the beauty found in the unexpected. Did you tear your page by mistake? It’s now the alligator’s mouth. Did you accidentally spill a paint glob on your page? Look at that glob for a moment. What do you see? Perhaps a puppy or bird shape? Did you bend your paper? No problem. Turn it into the penguin’s face. This might not sound like a big deal to you, but for me (a struggling perfectionist) it was an attractive reminder. And as a former elementary teacher, I know many children that also struggle with performance anxiety. Open your mind, relax, and let art happen! If you’re more of a “I’ll believe it when I see it” kind of person, please enjoy one of these classroom visit videos and watch the kids’ reactions to this adult’s behavior. Kids LOVE him and you will too! Barney further explores this idea in his next project called 2 + 2 = Banana. 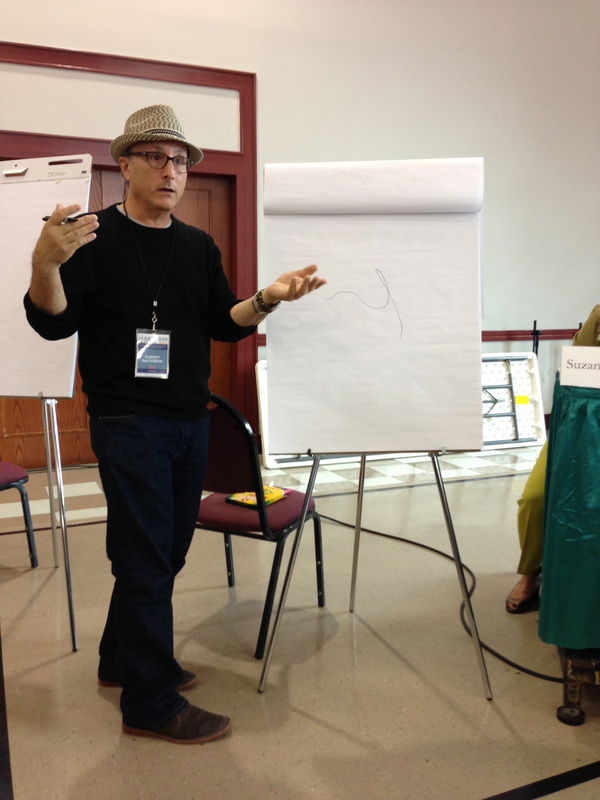 There are no right answers, no ONE and ONLY way to do things when it comes to creative expression. So at the end of the day, I actually spent more money on Barney Saltzberg’s books—yes, preschool board books—than the other authors. And yes I did have fun pulling and lifting all the flaps. 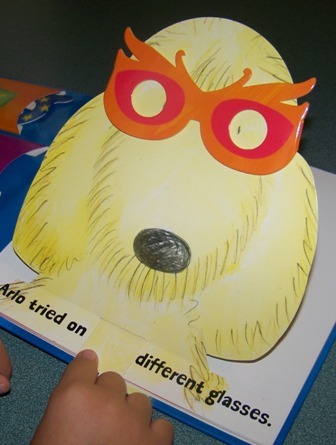 It was especially fun to try the variety of glasses on Arlo to help him find the perfect pair. 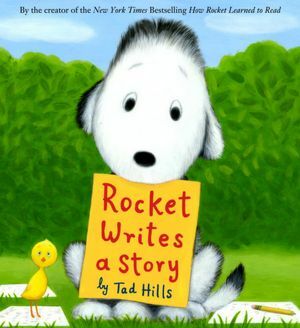 This author/illustrator is also a musician, frequently creating silly songs on the fly when he’s visiting classrooms. Listening to him, I was inspired by his open mind and passionate creativity. He is full of energy, ideas, and (most appealing to me) a freedom to make mistakes and explore those mistakes for potential beauty. Little kids aren’t the only ones who need to hear that. This entry was posted in A Writer's Work, Parent Resources-FREE, Photos, Teacher Resources-FREE, Videos. Bookmark the permalink.